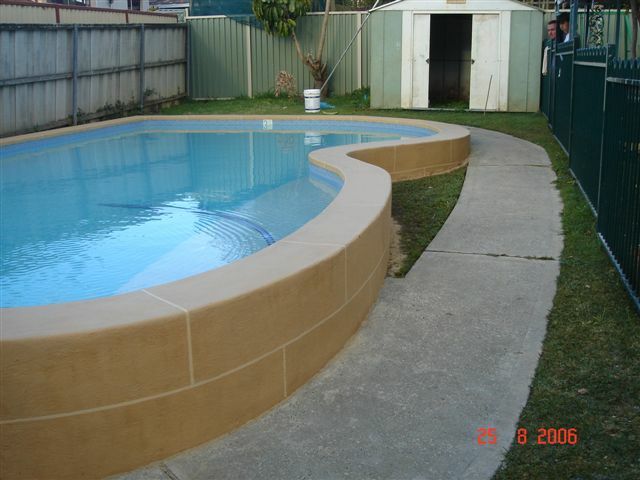 There are quite a number of concrete pools finished with Pebblecrete in Australia. The concept started in the late 1980’s and is still carried out today. Over time different types of pebble have been used and generally the larger, rougher pebbles have given way to smaller smoother ones and these may be had in a range of colours too. 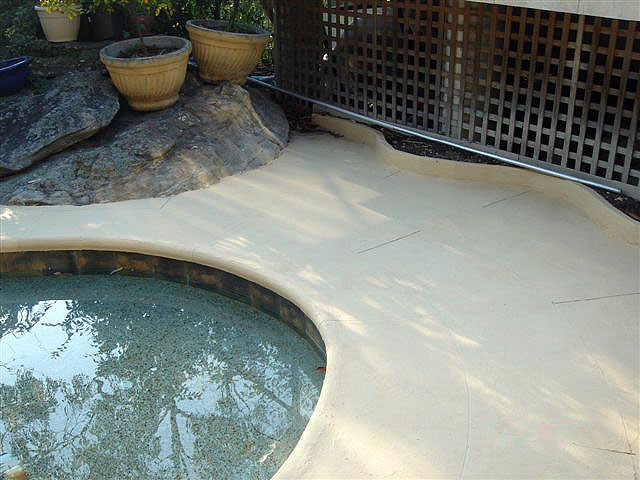 Older Pebblecrete pools usually show their age by being hard to keep clean, may have black stains and may even have areas that have come away. Over the years and depending on the quality of installation, pool water chemical balance and general wear and tear, it will slowly degrade. Usually is ends up with random cracks, worn areas, black staining and may be rust staining too. Some areas may be drummy (hollow underneath) or break away completely. There may be white calcium build ups as well. Often pool owners complain about how sharp the pebbles are and that they cut children’s feet. This can be over coat with coating using a hi build epoxy e.g. Epotec. Additionally older pools often have loose pebbles getting stuck in filters, which may jamb filter pumps. Pebblecrete can be upgraded with Epotec to provide a new long lasting easy clean finish so long as some careful checking is done first. Check for drummy areas – remove & replace. Check for rust spots and if from below, deal with corrosion of pool structural steel work thoroughly. Calcium residues need to be removed. Any missing, worn or rough areas should be filled before painting. A thorough clean to remove all fats, dirt and loose particles. Apply 2 coats of Epotec Hi Build Epoxy for a seamless, easy clean, long lasting finish.